The enormous Alentejo region takes up nearly all of the lower third of Portugal. This is a farming region of wheat fields that have been feeding the country since the middle ages. Historically Alentejo was the main route into Portugal from Spain, and the dozens of medieval castles will tell you that the relationship between the two nations wasn’t always friendly. The capital is Évora, a wonderful UNESCO World Heritage town encircled by medieval walls and hiding Roman ruins. There are signs of civilisation going back way before Roman times at hundreds of Neolithic monuments around the region. With an immaculate historic centre, Évora is a UNESCO World Heritage Site, and there’s so much to see it’s hard to know where to start. The town has been guarded by walls for 2,000 years and you can still detect the Moorish accent on Évora’s tight dark cobblestone streets. Of the many sights there’s the Gothic cathedral, built in phases up to the 18th century and with astounding 14th-century carvings of the apostles on its ogival portal. Among the medieval and Renaissance houses in Évora there’s evidence of ancient civilisation at the Roman Temple of Diana, with Corinthian columns made with granite and supporting fine capitals carved from Estremoz marble. In the 16th century the fortified city of Elvas was running out of water; the wells were drying up so the decision was taken to channel water from Amoreira eight kilometres away. The project was beset with problems (including war) and wouldn’t be completed until 1622, 93 years after it was started. The result is an astonishing construction of heroic proportions, with four tiers of arches dominating almost any building next to it. This is the largest aqueduct on the Iberian peninsula and is part of Elvas’ World Heritage Site. One of the reasons why the Amoreira Aqueduct is so tall is because it was designed to be siege-proof. 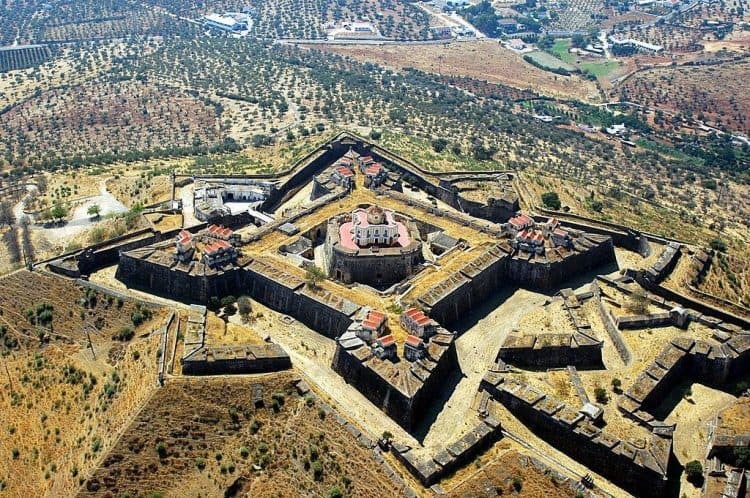 This was the story of Elvas, which was a hotly contested garrison town, caught up in the Portuguese Restoration War and then the War of the Spanish Succession in the 17th and 18th centuries. In the era of artillery, the solution was to build the largest bulwarked dry ditch defence system in the world. The defensive gates, walls and bastions go on for five kilometres, and are strengthened by the 18th-century Nossa Senhora da Graça Fort, defending the town from a hill to the south. The location of this castle in the eastern town of Marvão is stunning, atop quartzite cliffs on a hill almost 1,000 metres in height. The castle would have been started by the Moors in the 8th century before being reinforced many times after Marvão fell to Christian forces in the 1100s. From then on it would have been an outpost guarding the frontier with Spain. There’s a lot to see, underground in the creepy cistern, or high in the two towers, which have views of the Spanish sierras or over the town with its terracotta tiles and whitewashed walls. An opulent seat for the Dukes of Briganza, who would rise to claim the Portuguese throne in 1640, this palace was started in 1501 by Dom Jaime I. On the square in front there’s a horseback statue of João IV who reigned when the Portuguese Empire spanned the globe in the 17th century. The palace is in the Mannerist style with a facade 110 metres in length. All the way along are pilasters and pediments carved from local marble. The interior is frozen in time as a museum and has 17th-century frescos, wonderful azulejos, tapestries, marble fireplaces and works of sculpture, painting and goldsmithery. Could this be the best place in the world to see the sun go down? At this cliff top headland around an hour south of Lisbon you can watch the sun as it sinks into the Atlantic. And people travel down from the capital just to witness this natural spectacle. The limestone and breccia cliffs here are glorious in the mellow evening light, but they also have Jurassic strata depositing fossils on the shore. There’s also lots of signs of human settlement, especially at the ruins of the 17th-century fort, which boasts a chapel, 15th-century sanctuary and old pilgrims’ lodgings. From Setúbal you have the option of a direct ferry ride or circuitous drive to this paradisiacal beach at the entrance to the Sado River Estuary. The Praia de Tróia is at the end of a long peninsula that is partially screened from the Atlantic and so is safe for swimmers. The more exposed parts are big with kitesurfers, while you can stroll around to the landward beach, which has crystalline, lagoon-like waters. When you rest your gaze oh the white sands and vistas across the estuary to the green slopes of the Arrábida Nature Park, you’ll be forgiven for wondering if you’re in the Caribbean. Also close to the border with Spain, Monsaraz is a village in the clouds. These walls are implausibly high and protect a loop of cobblestone streets, some of which are almost vertiginous. 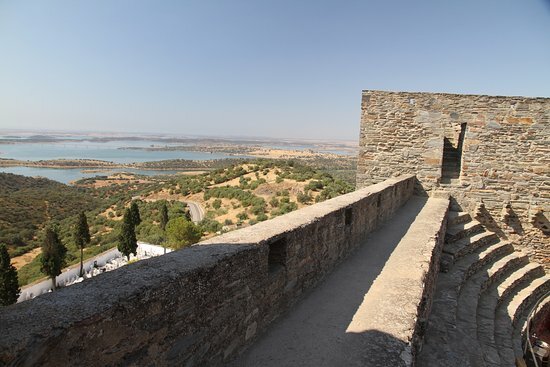 Monsaraz is glorious from any angle; the approach towards its commanding schist walls will live long in the memory and once you’re up here the vistas over the Guardiana Valley and the Alqueva lake to the east are stupendous. At one point this settlement was entirely abandoned, which explains why it has kept so much of its original architecture. Before stepping into Beja’s superb regional museum take as long as you need to appreciate the outide. This is from 1459 and was founded by the Ferdinand, Duke of Viseu who was the father of King Manuel I. Check out the Gothic pointed arches and the ornate multifoil balustrade on the roof. The 17th-century Baroque church inside is exquisite, with walls covered with gilded carved wood. And out in the cloister the arches and walls are adorned with bold glazed tiles from the 1600s. The museum’s collections go back to the Bronze age and feature Roman tombstones, medieval coats of arms and 17th-century musical instruments. Estremoz is one of the main sources of marble in Portugal, and this comes in any colour from pristine white to black. The highest part of the town is a fortified enclosure, shielded by crenellated walls and accessed via a gateway from the 1300s. You’ll be beckoned up the cobblestone street to a central square with fabulous panoramas of the countryside. The hardy-looking tower of the 13th-century palace is made of streaked marble and has been converted into a Pousada (luxury historical hotel). Take a peek inside the 17th-century Capela de Santa Isabel, built with pearlescent white marble and with beautiful azulejos decorating its interior. Not far from Évora is a mysterious megalithic site; it’s the largest set of organised menhirs in Spain and Portugal, and among the largest in Europe. The scene is pretty special, with an enormous ring of granite stones in a clearing in a cork oak forest. Some of the menhirs reach 3.5 metres, though most are around waist height. You’ll want to walk around the circle and inspect each stone, as many have curious carvings. There are spirals, circles, crescents and most common of all is the shape of a shepherd’s crook engraved upside down. The hills in this range east of Setúbal rise abruptly from the coast, creating some stupendous viewpoints. Take the N379-1 coastal road, and every few hundred metres there will be somewhere to stop and savour the Ocean panoramas or the view down to the Tróia Peninsula. These precipitous hills help conceal little coves and secluded beaches that feel almost cut off from civilisation. If you want to take on the landscape under your own steam then the range is laced with hiking and mountain biking trails coursing through evergreen and deciduous forest, nourished by a microclimate created by the steep slopes. North of the resort of Vila Nova de Milfontes is a beach of staggering beauty. The Praia do Malhao is in the Southwest Alentejo National Park, so is totally free of development. There’s a wide band of golden sand fringed by dunes and extending for several kilometres up the coast, and the absence of any kind of infrastructure will be bliss for people who want peace and privacy . The beach is open to the full force of the Atlantic, so this isn’t a place for casual swimmers, but bodyboarders and surfers make use of the surging waves. Our final castle isn’t guarding the border with Spain; rather it’s on the Península de Setúbal south of Lisbon and occupies the highest point for miles around. This place has been inhabited since prehistory, and has witnessed Romans, Visigoths and Moors in its time. The inner walls are the oldest, dating to the 1100s, while the outermost defences are from the 1600s and designed to repel artillery. 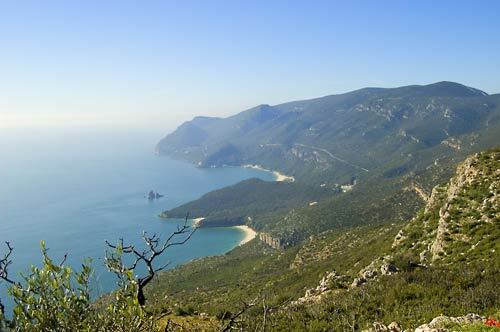 Come for the 360° views of the Sado Estuary, Tróia and the Serra da Arrábida range to the southwest. On clear days you can even see as far as Lisbon. Your time will be spent stepping from one heart-stopping vantage point to the next. 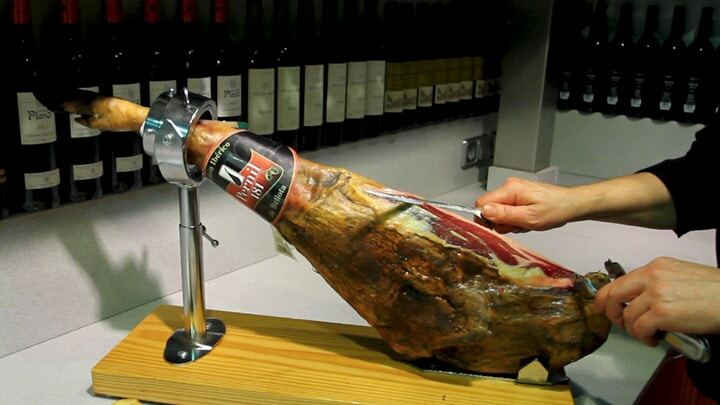 In the east, especially around Évora pata negra ham is a speciality. This comes from the black Iberian pig, which has a free-range lifestyle and grazes on acorns, giving the meat a distinct, smooth flavour and marbled texture. Elvas plums have DOP protection: They are cooked, soaked in sugar for six weeks and then sun-dried, and pair beautifully with cheese at the end of a meal. Alentejo is also a wine region, and if you fancy an inside look at the industry try the Herdade do Esporão winery in Monsaraz, which makes wines with New World methods (temperature control gear) using Old World grapes like Aragonês and cabernet sauvignon.